The Mount Morgan Mine was once the largest gold mine in Queensland, yielding around 250 tonnes of gold and 360,000 tonnes of copper, and generating approximately 134 million tonnes of waste rock and tailings. While the mine’s mineral wealth has since been exhausted, the changes it wrought upon the surrounding environment live on. To prevent the negative impacts of uncontrolled pit water discharge into the nearby Dee River, a series of pumps work round the clock to dewater the mine. Mount Morgan is located 32 km south-west of Rockhampton in Central Queensland. It was founded in 1882 as a gold mining town and mining operations in the area continued until November 1990. In the early years of peak activity at the mine, mining activities were unregulated and as a result have left a legacy of impacts on the Dee River and the mine site. These include acid mineral drainage and seepage, caused when sulphide minerals (such as those found in abundance in the mine’s mineralised dumps and tailings dams) oxidise when exposed to air, forming sulphuric acid. The acid then leaches metals from the surrounding rock and, as a result, the water that seeps out of the dumps and into the nearby Dee River has a low pH, a high metal content and high sulphate levels. This results in a reduced number of species being able to survive in the contaminated areas of the river, and the water being unsuitable for drinking or recreation and sometimes causing skin irritation upon exposure. The Dee River flows into the Don River and then into the Dawson River before reaching the Fitzroy River. 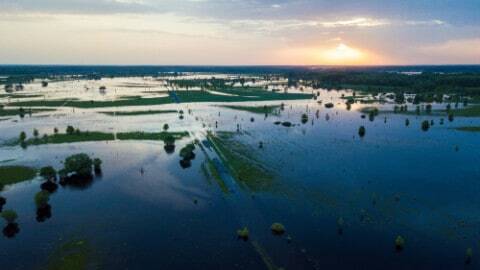 However, the Dee River catchment represents just 0.63 per cent of the entire Fitzroy River catchment, and the effect of the low-quality water from the Mount Morgan mine site lessens as one gets further away from the mine site and it becomes more diluted. As a result of these impacts, in 1992 the Queensland Government took responsibility for the ongoing management of the site and has since undertaken a number of measures to manage the site and minimise its legacy issues. The main priority of the management program, part of the Abandoned Mine Lands Program (AMLP), is to minimise the amount of low-quality water leaving the site and discharging into the Dee River. One of the main ways this is achieved is by reducing the volume of water in the mine pit, which in turn reduces seepage into the surrounding environment. In January 2013, a once-in-2,000-year rain event caused acidic water from the abandoned Mount Morgan Mine site to flow into the Dee River from the open cut pit. As a result, the mine dewatering infrastructure was dramatically upgraded to prevent a reccurrence. Water is removed from the mine’s open-cut pit via two methods: water treatment and evaporation. 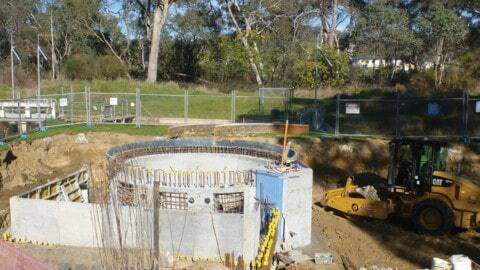 A lime dosing water treatment plant operates continuously, taking water from the pit, neutralising its pH and removing contaminants before releasing it into the Dee River. 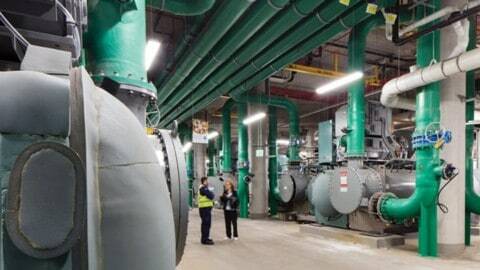 Additionally, three large evaporators and one smaller unit operate to supplement the water removal capacity of the water treatment plant. 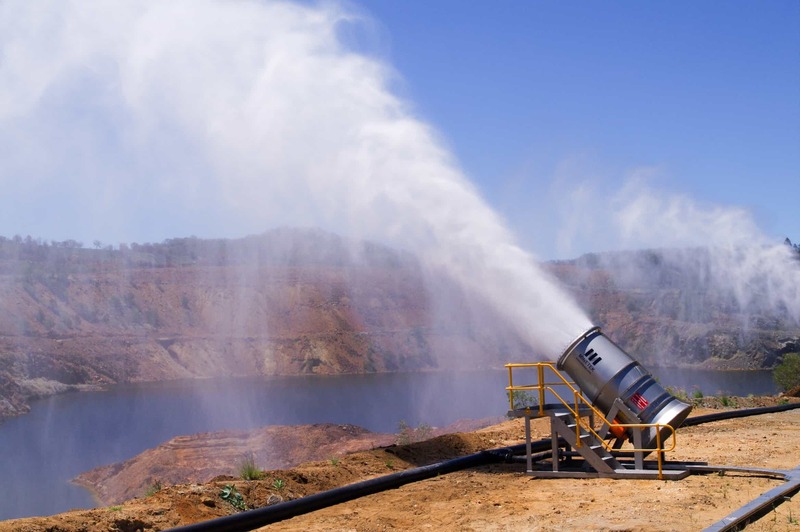 According to a spokesperson from the Queensland Department of Natural Resources and Mines, these evaporators have increased the site’s daily water treatment and removal capacity from an average of 3.2 megalitres (ML) per day to approximately 4.7ML per day. By accelerating the lowering of water levels in the open cut pit in addition to the water treatment plant, the evaporators minimise the likelihood of an uncontrolled discharge of pit water into the Dee River and reduce site seepage. The evaporators consist of a pump, a ring of nozzles that produce a fine spray, and a high capacity air fan which pushes the evaporated water into the atmosphere. By maximising contact between air and the water droplets, evaporation is maximised. The evaporators operate automatically and are linked to a weather station that monitors wind direction and speed, as well as humidity. This means that they only operate when the winds are blowing from behind, generally in a south-easterly direction, ensuring that the mist from the evaporators falls into the pit and will not reach the town or the department’s site equipment and staff. For maximum operational efficiency, the evaporators are also programmed to operate only when humidity is lower than 80 per cent. Water seepage from the site’s tailings dams and waste rock dumps is also captured and pumped back to the old open-cut pit to reduce seepage to Dee River. This also enables rainfall flows to quickly leave the site, rather than pool and create more seepage. Water flows are also diverted to prevent them entering the pit. 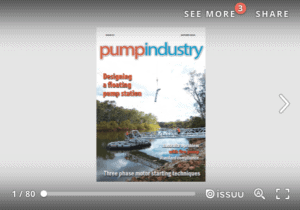 A new pumping system was designed and installed to increase the efficiency of this operation, using land-based centrifugal equipment to collect seepage and direct it back to the pit – as well as a submersible pump on a pontoon. The pumps are stainless steel and the pipelines are poly pipe; all pumps and pipelines are acid-resistant and high metal-resistant. Pressure gauges are mounted on the pumps to check their efficiency. In designing these pump systems, the Department of Natural Resources and Mines calculated seepage rates and surveyed the pipeline route to determine head and suction requirements. Energy efficiency was also a priority for this project: electrical, diesel and solar-powered pumps were used. Some systems required several different sumps due to their remoteness from one another. Maintenance is also a vital aspect of the project. Pumps and pipelines are inspected daily, bearings and seals are regularly overhauled, and complete pumps kept on-site as back-ups. This means that repairs can be made and replacements installed quickly. A maintenance schedule has been established using → standard advice in pump and motor manuals along with site-specific observations such as factoring in preparations for the wet season. System functions are monitored by hour meters, flow meters, level controls, and undercurrent switches to prevent excessive running. 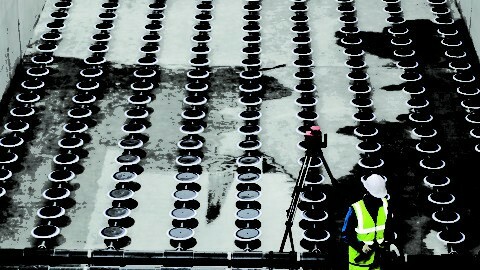 Monitoring also includes surface and groundwater sampling. 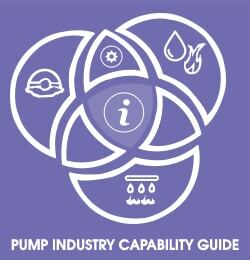 Training staff in the maintenance schedule, comprehensive monitoring program and continual review of different types of pumps and motors have all been vital during the process. Staff are also well aware of the need to maintain their observations during normal operations and to ensure there are critical spares quickly available. The new pumping system was engineered for smooth installation and it has been an overwhelming success in helping the Department of Natural Resources and Mines to achieve its management goals for the site.